The X-Raycer depron model is a great flying delta plane with a huge speed range. We have decided to modify it a little and produce an EPP version. This one is a little smaller at 20" span and 22.7" long and also has rudders to make indoor flying easier as well add to its maneuverability. 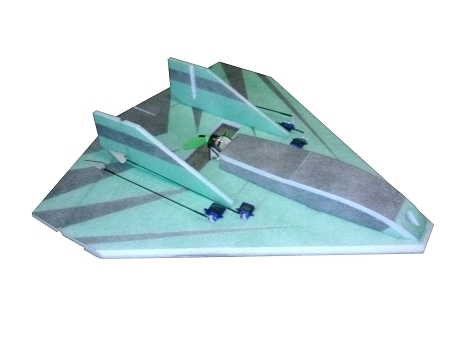 The X-Raycer EPP is very easy to build and fly. Minimal parts, easy to paint and decorate. When balanced and trimmed well it will lock into level flight whether upright or inverted. Tricks at full rates include a very fast roll rate, very tight loops and even flips with an aft CG, torque rolls and much more. More details can be found on the X-Raycer thread on .